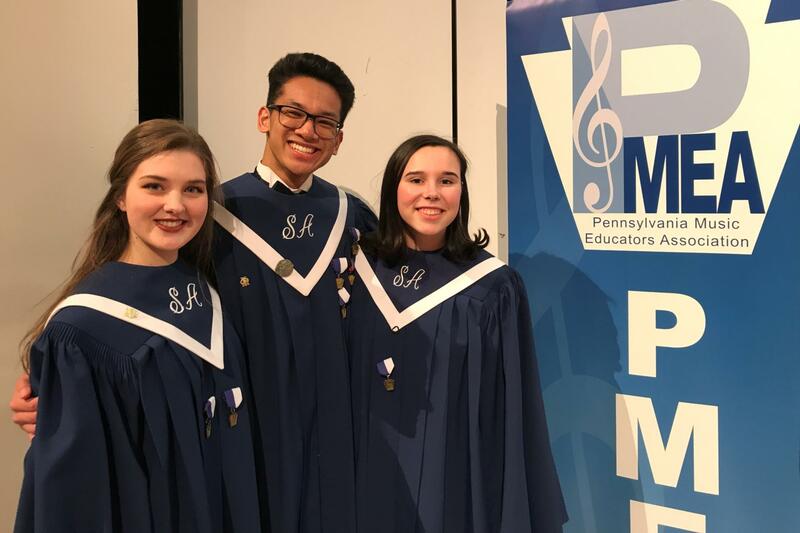 Shaler Area is proud to announce three high school students advanced to the Pennsylvania Music Educators Association Region Chorus. Sophomore Zoe Babbit, and juniors Alex Almonte and Kelsey Marshall earned the opportunity to audition for the ensemble after being selected for the PMEA District 1 Chorus. They auditioned with 200 other talented vocalists. The PMEA Region 1 Senior High Chorus festival will be held at Greater Latrobe High School March 20-22, 2019. The students will rehearse their music for one month individually and then come together for two days to rehearse as an ensemble. The concert will be held on Friday, March 22, 2019 at 7:00 p.m.